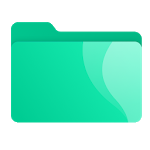 File Manager is a powerful file explorer for Android that you can handle all your files and folders which stored in your device’s memory. File Manager supports file analyze, clean & boost, search, copy, paste, move, delete and rename files operations. Now explore your files efficiently and easily with File Browser. Use file analyzer function in File Explorer for Android, you can clearly see the space occupied by various types of files. Find out the large files, redundant and duplicate files in your phone. You can move or delete it one by one. Too much lag on your phone? 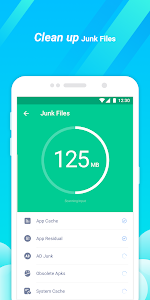 File Explorer can free up your storage space by removing the cache, useless, junk, and duplicate files to make your phone as new one. 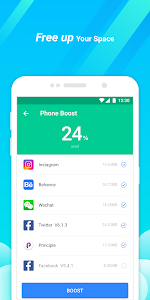 File Manager will reminds you to optimize your device's storage when it runs out. No need to connect to the network and won’t consume any data. 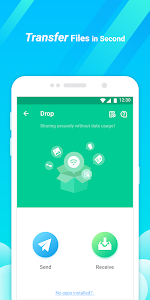 You can share apps, games, music, videos, photos or any other files with your friends at any time with File Manager. The speed of transferring files can reach more than 20M/s. That is to say, a movie of 1G size can be transferred in one minute. Looking for files, but do not know the exact location? Just need one second. Use the search box at the top of homepage, search the file you need and the result will appear immediately. Have no need to find specific files from every category. 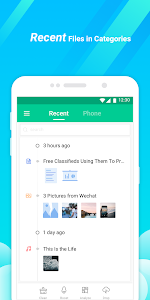 Explore your files easily by clear categorization, including Recents, Installers, Bluetooth, Downloads, Documents, Audio, Pictures, Videos, Archives, Favorites and Safe box. Every file is auto classified in its category. View file in each categorization and enjoy files browsing. File Browser can work efficiency with various types of files, like DOC, PDF, MP4, WMA, RAR and ZIP files. Also it supports clean & boost, search, copy, paste, move, delete and rename files that are stored in internal storage. Organize your files in high-efficiency. Have some valuable or private files stored in the phone? And you don’t want to make it seen by anyone else? 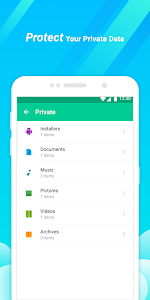 File Explorer ensure your data security with encryption. Create a password, put your private documents, PDF, and media files into “Safe Box”. Secure your apps from tracked eyes or unauthorized access with “Safe Box” in file viewer. - How do I move or copy a file on File Manager? - Open the File Explorer and go to the file or folder which you want to move or copy. Long press on the files, in the top right corner you will find the options. If you forget the file location, you can also find it through a search. - How do I encrypt files on Android phone? - Click the icon of “Safe box” then create a password, then set a security question. If you forget your password, you can reset it by answering this question. Now you can select the file or folder you want to encrypt. Browse encrypted files that only visible to you. - Why can’t I turn on the camera or flashlight on the notification bar? - Maybe the authorization has been cancelled. You can go to Setting -> Apps -> File Manager -> Permissions, then open the authorization. Now you can use the camera or flashlight. File Explorer is a wonderful file viewer which knows you best! 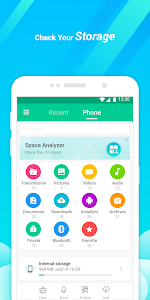 Enjoy all these features that File Manager can offer. 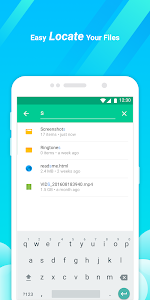 We will make this File Manager app to be the best File Explorer on Android.
? Join us to build your dream File Explorer together ?! Add File Transfer function, zero data consumed. Similar to "File Manager -- Take Command of Your Files Easily"